UWE Graphic Design students are holding a fundraiser to raise funds for an end of year publication. Expect some incredible music, art and design from some very talented students. 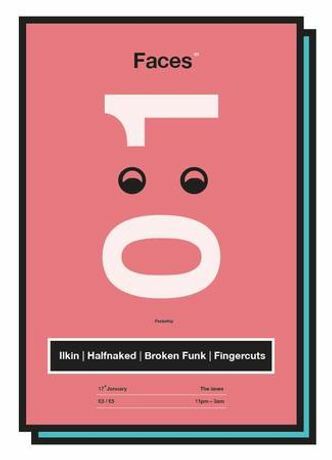 Faces | 01 _________________________________________________________ That's right you're not mistaken, it's another fundraiser..... _________________________________________________________ The first in a series of fundraisers to help skint UWE Graphic Designers release an end of year publication. _________________________________________________________ Head down to The Lanes for a night of music, art and design and debaucherous bowling. All proceeds will go towards the production of a final year publication, so come and dance for a good cause. 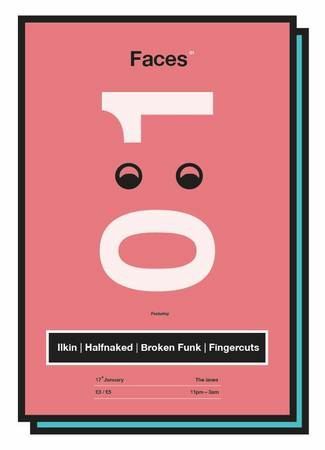 ________________________________________________________ featuring music from the likes of: Ilkin Halfnaked Broken Funk Fingercuts + We will also be selling a range of work generously donated to us by various artists within Bristol. So bring your wallets, let those loans loose and maybe you could walk away with some exclusive pieces of work. Venue details: The Lanes Bristol 22 Nelson street Bristol BS1 2LE United Kingdom Event Type: Galleries / Art.